A brand new upgrade type has arrived in the game of Warhammer Underworld POTIONS! Are they worth taking? Who benefits the most? Let’s take a look! Pros: Makes casting spells more likely and can prevent a double critical that would potentially kill your caster, or put them in one hit danger levels. 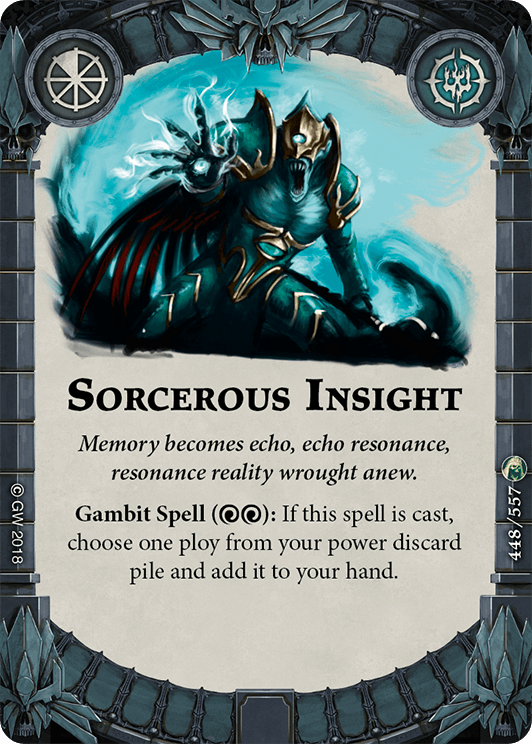 If you using some difficult spells I’d be inclined to include it especially if you’re packing Sorcerous Insight. Cons: It’s only usable by a handful of models in the game and there are very few difficult to cast spells currently. I think it may grow in value as we see new Gambit Spells released. Conclusion: Has potential to become amazing! Pros: Damage reduction is hard to come by in this game, bar a few faction specific Gambits and Upgrades. It could save your fighters life or you’re building a super tanky deck that will deny kills. Cons: It’s essentially Great Fortitude in disguise but you must discard it – there are more efficient choices for the warbands that benefit from this. Conclusion: Just stack more wounds onto your models with Great Fortitude, Sudden Growth & Deathly Fortitude if you’re looking to not die. Pros: Brilliant for slower warbands to speed their heavy hitter up. *cough*Gurzhag*cough*. This is a genuine consideration in movement three or less decks. Works wonders with Quick Thinker! Cons: The timing of the potion is a bit iffy, you have to have the potion equipped before the Move Action because it’s only when the token is placed do you get the option to discard the potion. Conclusion: If it were ‘discard this card to remove a Move token’ it’d definitely be in my deck as a threat extender, however as it is there are only a handful of uses. Pros: Here we go! This is surely a must for you aggro players out there; Total Offence but on a Charge! Discarding an upgrade to roll two additional dice is a huge bonus. With no Range limitation Farstrider loves this to help fishing for Crits to make his eagle hit harder. Cons: I honestly don’t see a downside to this card, the Reaction window cannot be interrupted yet, and with attacks being so important this is incredible! Conclusion: For aggro players I think this will become a firm favourite! Combo it with Shadeglass Dagger to roll five dice looking for a Crit to make 4DMG. Pros: Guaranteed single health recovery and a potential 2 health recovery is nice, and builds well into a super tanky deck. Cons: It takes up a precious Gambit slot. Conclusion: We’re strapped to keep our decks trim as it is and this job can be filled by an Upgrade via additional wounds of which we have a few cards now. Healing Potion has fallen out of favour with some players but it occasionally makes an appearance in Orruks. Will you be stacking your deck with potions for your fighters to chug mid-fight? Or will you stick to the upgrades you know? Let me know in the comments below! Next Post: Nullstone or Shadeglass? Good analysis, but I think you’re overlooking the value of Potion of Constitution compared to Great Fortitude. PoC is optional, which means that you can prevent your opponent from scoring Precise Use of Force when he otherwise would have. -You have GF for 4 Wounds, he deals 4 damage: he scores Precise Use. -You have PoC, he hits you for 4 damage because he has to in order to guarantee the kill: he doesn’t score Precise Use. In addition, Great Fortitude makes a 3-Wound fighter vulnerable to Gloryseeker, but Potion of Constitution doesn’t. It’s a subtle difference, but I believe Potion of Constitution has the edge unless you’re planning on healing during the game. Definitely hoping the potions trend continues and that there will be a potion deck by the end of this cycle combining potions and other ‘discard this card’ upgrades with Infinite Riches and With Our Bare Hands.